Paying attention to everything the FAA has put forth since their rules and regulations were initially put into full effect is crucial for all drone fliers. Although, do you know the laws and regulations related to drones in your state, as well? Table Rock in Boise, Idaho is an incredibly popular destination for drone users, whether you’re from Idaho or visiting from another state. Table Rock is the ultimate place to go for avid mountain bikers and hikers who dig a challenge, but are also into drones, as well. To get to the top, you’ll be facing a steady 3.5-mile trek uphill, where the best drone footage will be found. 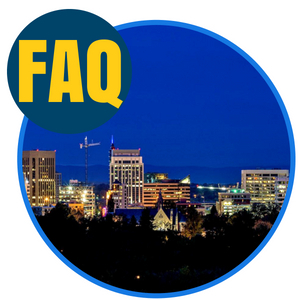 However, because Table Rock is close to a couple of helicopter pads for local hospitals and a number of towers, it’s considered a notification-required airspace that, additionally, requires some form of approval. Eagle Bike Park in Eagle, Idaho and Owyhee Reservoir, or Owyhee Lake, are two other fantastic places to visit and fly your drone in. Like Table Rock, however, you will need permission to fly in both areas. Please note that Owyhee Reservoir is technically in Oregon, but because it’s so close to the Idaho border in Eastern Oregon, we figured we’d mention it for the sake of a good spot to fly your drone in. The Federal Aviation Administration (FAA) requires that all Small Unmanned Aircraft Systems (UAS) owners follow strict regulations and laws. You will need to file your name, home address and your email address as a start. From there, you will receive a Certificate of Aircraft Registration and Proof of Ownership. These will include an identification number for your aircraft. You must have this number displayed on your drone at all times. The number will be valid for up to 3 years. All aircraft that weighs more than 0.55 pounds, or 250 grams, and less than 55 pounds, or 25 kilograms, must be registered. This also includes any added payloads, such as an onboard camera. You must be at least 13-years-old in order to register and, effective December 21st, 2015, all newly purchased or made drones must be registered before their first flight. You are able to register through a paper-based process, but you can also do so online by clicking here. As a general rule of thumb, and in accordance with the law from the FAA, you may not fly within a 5-mile radius of any airport. In 2012 the FAA enacted the Modernization and Reauthorization Act which requires hobbyist drone operators, meaning residential, to contact air traffic control and/or airport management if they are operating within a 5-mile radius of any local airport. 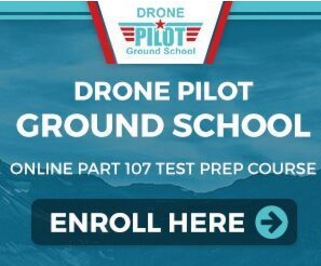 This is enacted nationwide, not only in Idaho, under Part 101 of the Act, being Special Rule for Model Aircraft, to ensure that drone operations under unsafe conditions are disapproved before the drone can be launched. Regardless of the local airport you will be flying near, and possibly breaching airspace, you will need to contact either the airport air traffic control tower or the airport operator. 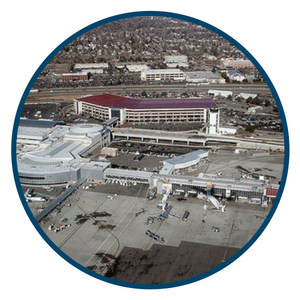 You will need to establish an agreed-upon operating procedure with airport air traffic or the airport operator and answer a couple of questions. For example, questions relating to how long you are going to be flying for. At this time of writing, all of the legal information listed below is deemed as accurate as possible and fully in effect. 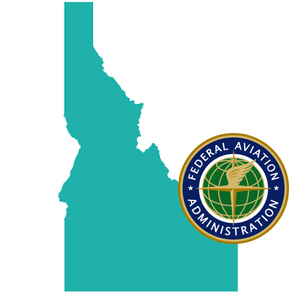 RELATING TO AERONAUTICS; AMENDING CHAPTER 2, TITLE 21, IDAHO CODE, BY THE ADDITION OF A NEW SECTION 21-213, IDAHO CODE, TO DEFINE A TERM, TO ESTABLISH PROVISIONS RELATING TO RESTRICTIONS ON THE USE OF UNMANNED AIRCRAFT SYSTEMS, TO PROVIDE EXCEPTIONS, TO PROVIDE A CIVIL CAUSE OF ACTION, TO PROVIDE FOR CERTAIN DAMAGES AND TO PROVIDE THAT AN OWNER OF CERTAIN FACILITIES SHALL NOT BE PROHIBITIED FROM USING AN UNMANNED AIRCRAFT SYSTEM TO INSPECT SUCH FACILITIES. 21-213. RESTRICTIONS ON USE OF AN UNMANNED AIRCAFT SYSTEM — DEFINITION — VIOLATION — CAUSE OF ACTION AND DAMAGES. (a) For the purposes of this section, the term “unmanned aircraft system” (UAS) means an unmanned aircraft vehicle, drone, remotely piloted vehicle, remotely piloted aircraft or remotely operated aircraft that is a powered aerial vehicle that does not carry a human operator, can fly autonomously or remotely and can be expendable or recoverable. (ii) An unmanned aircraft system used in mapping or resource management. (ii) A farm, dairy, ranch or other agricultural industry without the written consent of the owner of such farm, dairy, ranch or other agricultural industry. (b) No person, entity or state agency shall use an unmanned aircraft system to photograph or otherwise record an individual, without such individual’s written consent, for the purpose of publishing or otherwise publicly disseminating such photograph or recording. Be entitled to recover from any such person, entity or state agency damages in the amount of the greater of one thousand dollars ($1,000) or actual and general damages, plus reasonable attorney’s fees and other litigation costs reasonably incurred. An owner of facilities located on lands owned by another under a valid easement, permit, license or other right of occupancy is not prohibited in this section from using an unmanned aircraft system to aerially inspect such facilities. RELATING TO FISH AND GAME; AMENDING SECTION 36-1101, IDAHO CODE, TO PROHIBIT THE USE OF UNMANNED AIRCRAFT SYSTEMS FOR HUNTING, MOLESTING OR LOCATING GAME ANIMALS, GAME BIRDS AND FURBEARING ANIMALS. 36-1101. TAKING OF WILDLIFE UNLAWFUL EXCEPT BY STATUTE OR COMMISSION RULE OR PROCLAMATION — METHODS PROHIBITED — EXCEPTIONS. It is unlawful, except as may be otherwise provided by Idaho law, including this title or commission rules or proclamations promulgated pursuant thereto, for any person to take any of the game animals, birds or furbearing animals of this state. Hunt from Motorized Vehicles. Hunt any of the game animals or game birds of this state from or by the use of any motorized vehicle, including any unmanned aircraft system, except as provided by commission rule; provided however, that the commission shall promulgate rules which shall allow a physically disabled person to apply for a special permit which would allow the person to hunt from a motorized vehicle which is not in motion. A physically disabled person means a person who has lost the use of one (1) or both lower extremities or both hands, or is unable to walk two hundred (200) feet or or more unassisted by another person, or is unable to walk two hundred (200) feet or more without the aid of a walker, cane, crutches, braces, prosthetic device or a wheelchair, or is unable to walk two hundred (200) feet or more without great difficulty or discomfort due to one (1) or more of the following impairments: neurological, orthopedic, respiratory, cardiac, arthritic disorder, blindness, or the loss of function or absence of a limb. The commission shall specify the form of application for and design of the special permit which shall allow a physically disabled person to hunt from a motorized vehicle which is not in motion. No fee shall be charged for the issuance of the special permit and the issuance of a special permit shall not exempt a person from otherwise properly purchasing or obtaining other necessary licenses, permits and tags in accordance with this title and rules promulgated pursuant thereto. Th special permit shall not be transferable and may only be used by the person to whom it is issued. A person who has been issued a special permit which allows a physically disabled person to hunt from a motorized vehicle not in motion shall have that permit prominently displayed on any vehicle the person is utilizing to hunt from and the person shall produce, on demand, the permit and other identification when so requested by a conservation officer of the department of fish and game. A person possessing a special permit shall not discharge any firearm from or across a public highway. In addition to other penalties, any unauthorized use of the special permit shall be grounds for revocation of the permit. Molest with Motorized Vehicles. Use any motorized vehicle, including any unmanned aircraft system, to molest, stir up, rally or drive in any manner any of the game animals or game birds of this state. Communicate from Aircraft. Make use of aircraft, including any unmanned aircraft system, in any manner to spot or locate game animals, game birds or furbearing animals of this state from the air and communicate the locations or approximate location thereof by any signals whatsoever, whether radio, visual or otherwise, to any person then on the ground. Hunt from Helicopter. Make use of any helicopter in any manner in the taking of game or loading, transporting, or unloading hunters, game or hunting gear in any manner except when such use is at recognized airports or airplane landing fields, or at heliports which have been previously established on private land or which have been established by a department or agency of the federal, state or local government or when said use is in the course of emergency or search and rescue operations. Provided however, that nothing in this chapter shall limit or prohibit the lawful control of wolves or predatory or unprotected animals through the use of helicopters when such measures are deemed necessary by federal or state agencies in accordance with existing laws or management plans. Hunt with Aid of Aircraft. Make use of any aircraft, including any unmanned aircraft system, to locate any big game animal for the purpose of hunting those animals during the same calendar day those animals were located from the air. Provided however, that nothing in this chapter shall limit or prohibit the lawful control of wolves or predatory or unprotected wildlife through the use of aircraft when such measures are deemed necessary by federal or state agencies in accordance with existing laws or management plans. Artificial Light. Hunt any animal or bird except raccoon by the aid of a spotlight, flashlight or artificial light of any kind. The act of casting or throwing, after sunset, the beam or rays of any spotlight, headlight, or other artificial light capable of utilizing six (6) volts or more of electrical power upon any field, forest or other place by any person while having in his possession or under his control any uncased firearm or contrivance capable of killing any animal or bird, shall be prima facie evidence of hunting with an artificial light. Provided nothing in this subsection shall apply where the headlights of a motor vehicle, operated and proceeding in a normal manner on any highway or roadway, cast a light upon animals or birds on or adjacent to such highway or roadway and there is no intent or attempt to locate such animals or birds. Provided further, nothing in this subsection shall prevent the hunting of unprotected or predatory wildlife with the aid or artificial light when such hunting is for the purpose of protecting property or livestock, is done by landowners or persons authorized in writing by them to do so and is done on property they own, lease or control; and provided further that the hunting and taking of unprotected or predatory wildlife with the aid of artificial light on public lands is authorized after obtaining a permit to do so from the director. The director may, for good cause, refuse to issue such permit. Other provisions of this subsection notwithstanding, the commission may establish rules allowing the hunting of raccoon with the aid of an artificial light. No person shall make use of a dog for the purpose of pursuing, taking or killing an of the big game animals of this state except as otherwise provided by rules of the commission. Any person who is the owner of, or in possession of, or who harbors any dog found running at large and which is actively tracking, pursuing, harassing or attacking, or which injures or kills deer or any other big game animal within this state shall be guilty as provided in section 36-1404 (a) 1. (F), Idaho Code. It shall be no defense that such dog or dogs were pursuing said big game animals without the aid or direction of the owner, possessor, or harborer. Any dog found running at large and which is actively tracking, pursuing, harassing, attacking or killing deer or any other big game animal may be destroyed without criminal or civil liability by the director, or any peace officer, or other persons authorized to enforce the Idaho fish and game laws. Attempt to Take Simulated Wildlife. Attempt to take, by firearm or any other contrivance capable of killing an animal or bird, simulated wildlife in violation of any of the provisions of this title or commission rules applicable to the taking of the wildlife being simulated, when the simulated wildlife is being used by a conservation officer or other person authorized to enforce Idaho fish and game laws or rules promulgated pursuant thereto. No person shall be found guilty of violating either this subparagraph, or subparagraph (B) of this paragraph, provided that no other law or rule has been violated. Any person pleading guilty to, convicted of or found guilty for attempting to take simulated wildlife within this state shall be guilty of a misdemeanor and shall be punished as provided in either subsection (c) or (e) of section 36-1402, Idaho Code, and shall be restitution in an amount of no less than fifty dollars ($50.00) for the repair or replacement of the simulated wildlife. No person shall shoot at or kill any bird or animal in Idaho, wild or domestic, including domestic cervidae governed under the provisions of chapter 37, title 25, Idaho Code, with any gun or other device accessed and controlled via an internet connection. Accessing, regulating access to, or regulating the control of a device capable of being operated in violation of this paragraph shall be prima facie evidence of an offense under this paragraph. Any person pleading guilty to, convicted of or found guilty of a violation of this paragraph shall be guilty of a misdemeanor and shall be punished as provided in section 36-1402, Idaho Code. At this time of writing, there are currently no Senate Bills or House Bills currently in circulation in the state of Idaho regarding drones. If you do not see your question, or an answer to it, listed below, feel free to get in touch with us and we’ll gladly give you one. Is a drone/UAS considered the same as a model aircraft? If your model aircraft, regardless of whether or not you acquired it pre-built or built it yourself, meets the above points to your knowledge, it’s considered a drone/UAS. What is the Small UAS Rule? The Small UAS Rule requires those who have unmanned aircraft systems, or UAS, that weigh less than 55 pounds, payload included, to register their aircraft with the FAA. This only applies to recreational or hobby fliers and not commercial drone use, however. Is the FAA’s Small UAS Rule still in effect? Yes, it has been in effect from August 29th of 2016 and is still in effect at this time of writing. 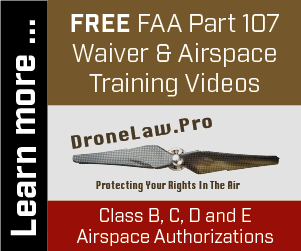 Do I have to carry my Certificate of Aircraft Registration while flying my UAS at all times? Yes, you must have the registration certificate from the FAA at all times during flight operation. In accordance with federal law, all UAS operators must show their certificate of registration to any local, state, or federal law enforcement officer when they are asked to do so. What do I do for registration if my UAS is over the 55-pound limit? If your UAS weighs more than 55 pounds, including payload, you will need to register it by clicking here. Knowing the laws, regulations, restrictions, etc., regarding drones in your state is extremely important. Remember to educate yourself, follow the rules, fly safely and responsibly, and have fun! I tried to register in Idaho on the faa site but when i hit submit i get a page that requests 49.99 or 199.00 in fees, whats up with that? where is the 5.00 fee?